Public Screening "Unlocking the Cage"
DRBU Symposium team and CARE: Compassion for Animals, Respect for the Earth are proud to announce a free public screening of the highly-acclaimed documentary, Unlocking the Cage, directed by Academy Award nominated directors Chris Hegedus and D. A. Pennebaker, best known for their films Don’t Look Back and The War Room. 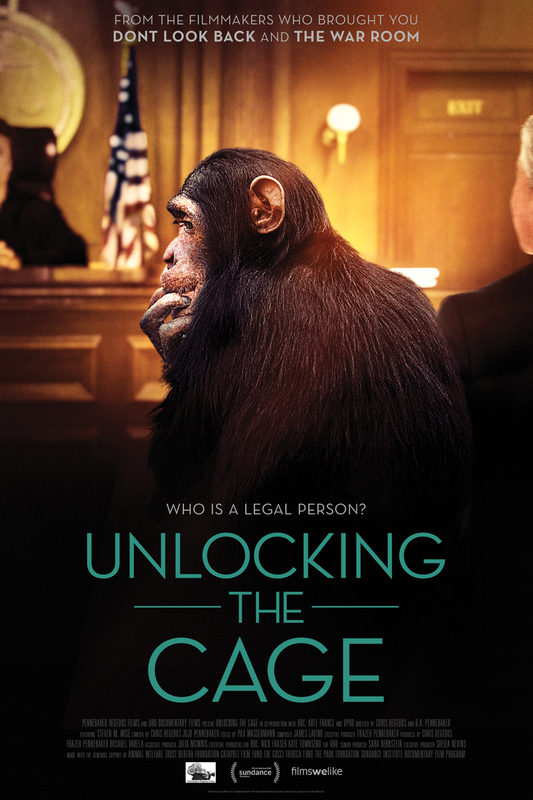 Unlocking the Cage follows the Nonhuman Rights Project legal team in their unprecedented court challenge to break down the legal wall that separates animals from humans. From roadside zoos to courtroom battles, it is an intimate look at a lawsuit that could forever transform our legal system, and one man’s lifelong quest to protect nonhuman animals. Unlocking the Cage first premiered in 2016 at the Sundance Film Festival and has been shown at dozens of film festivals across the globe. It premiered on HBO in February 2017. The event will include a full screening, followed by a panel discussion and Q&A. Special guest panelists includes Jan Allegretti. D.Vet.Hom, Bhikshuni Heng Yin and Dr. Ron Epstein. Jan has been following this ongoing legal case and will give us brief update about it's current states.